Not far from the picturesque Lake Garda, surrounded by mountains, is the little town of Montichiari with 14,000 inhabitants. 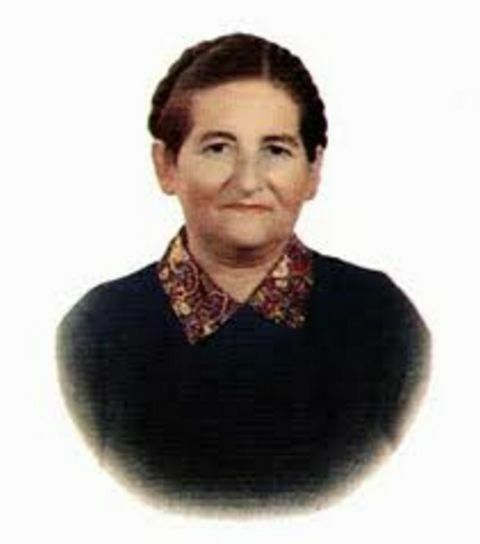 In the spring of 1947, while praying in the hospital chapel, nurse Pierina Gilli encountered Our Holy Mother. Mary appeared in a wonderful vision and magnificent light, dressed in mauve, but very sad with tears in her eyes. Her heart was pierced by three swords – one was for the unworthy celebration of Mass and Communion received unworthily; the second was for unfaithful priests and other religious ones giving up; the third was for “betrayal of the Faith.” Our Lady asked for Prayer, Penance, and Sacrifice. Those were her only words. Pierina asked if a miracle would follow. Mary said that the miracle would be the return of wayward, offending priests to the original spirit of their saintly founders. Pierina translated the term Mystical Rose to mean, “Mary is the master teacher of the innermost mystical life and the Mother of the mystical body of Christ – the Mother of the Church.” This interpretation was magnificently confirmed by Pope Paul VI on November 21, 1964. 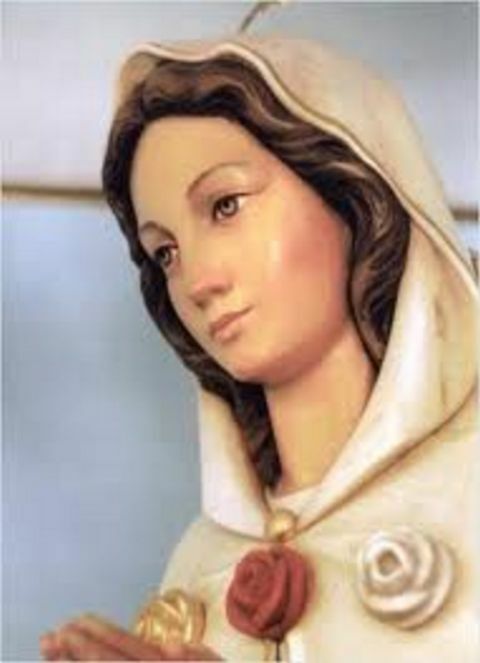 “I am the Immaculate Conception … (took a few more steps) … I am Mary, full of grace, Mother of My Divine Son Jesus Christ… (a few more steps) … Through my coming to Montichiari I wish to be known as the Rosa Mystica. It is my wish that every year, on the 8th of December, at noon, the Hour of Grace for the World be celebrated. Many divine and bodily graces will be received through this devotion. Jesus will send His overflowing mercy if good people will pray continuously for their sinful brother. One should very soon notify the Holy Father of the Church, Pope Pius XII, that it is my wish that the HOUR OF GRACE FOR THE WORLD be made known and spread throughout the world. If anyone is unable to visit his church, yet will pray at noon at home, he will also receive graces through me. Whoever prays on these tiles and weeps tears of penance will find a secure, heavenly ladder and receive protection and grace through my motherly heart. … The Lord is still protecting the good and is holding back a great punishment because of my intercession. Soon, one will recognize the greatness of this Hour of Grace. Our Lady bowed down and touched the water of the spring in two places. She repeated her wish for the sick to come to this miraculous spring along with many of her children. The meaning of the three roses: White Rose: a spirit of prayer for reparation — for the offenses by the Lord’s consecrated people who do not live consistently their vocation. Red Rose: a spirit of sacrifice for the offenses committed by the men who live in mortal sin. Pink Yellow-gold: a spirit of sacrifice for the offenses to the Lord committed by the priests who betray their vocation and, in particular, to get their sanctification. 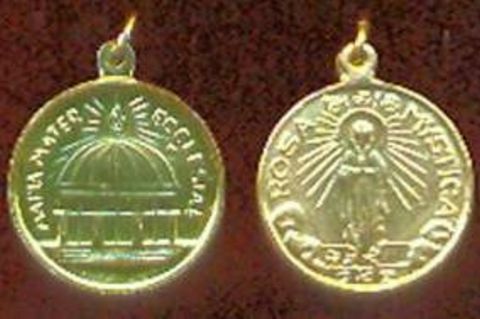 These three roses offered for love, with the spirit of reparation required by Rosa Mistica, drop the three swords from the Heart of Our Lady. 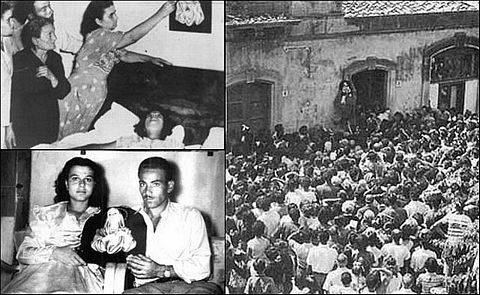 The components of these apparition experiences in Italy. Every 13th of the month is devoted to special acts of devotion to Mary, with a preparation of prayer in the 12 previous days. 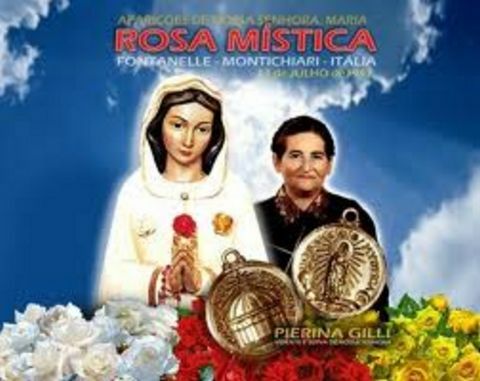 Second Sunday of Easter – Anniversary of Rosa Mistica Fontanelle in Montichiari. On October 13 of each year (second Sunday of the month) is sanctified by the Holy Communion of Reparation preceded by confession. The message speaks of “World Union of Holy Communion of Reparation.” Under this designation may be set up prayer groups or congregations. Every year on December 8, the feast of the Immaculate Conception, at noon you enjoy the Hour of Grace, waiting for the special graces of conversion and sanctification promised for that hour. 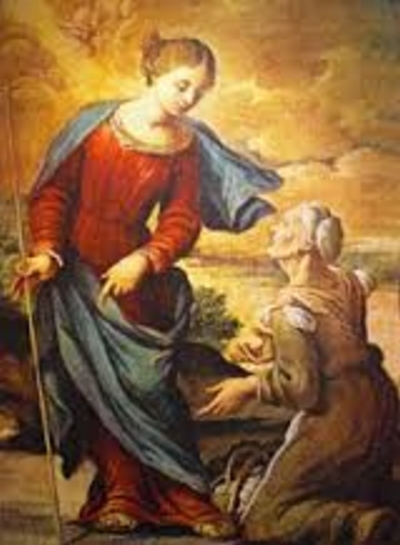 On March 22, 1888, the day before the Feast of the Compassion of Our Blessed Lady, two peasant women were shepherding their sheep on the hills in Southern Italy near the village of Castelpetroso. Fabiana Cicchino (35-year old virgin) and Serafina Valentino (34-year old married woman) belonged to Pastine, a hamlet in the diocese of Bojano. One of their sheep had strayed onto a hill nearest Castelpetroso. Fabiana found the lost sheep in a ravine near some rocks. But a strange light was coming from a crack in the rocks. The rays of the bright light formed a clear image of Our Blessed Virgin on her knees with her eyes gazing toward heaven. Her arms were outstretched in an act of imploring and offering of her Son, full of wounds and lying dead beneath her. It was the image of the Pieta. 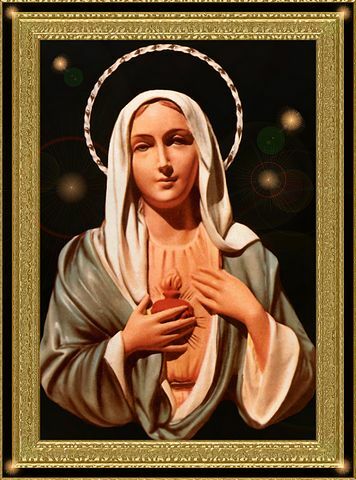 Mary appeared as Our Lady of Sorrows, wearing a deep red dress and a dark mantle. She was a very beautiful, fair-skinned, young woman with disheveled hair and bleeding from wounds received from seven swords. The Blessed Virgin never spoke. When Serafina caught up to Fabiana, she could not see anything. They returned home, crying, sobbing, trembling, and terrified. People naturally inquired as to the cause of their emotions. But very few believed them, and nobody paid much attention to their statements. During the Solemnity of Easter on April 1, 1888, the same vision occurred again to these two women in the same location. This time, Serafina also witnessed the apparition. More people became curious after this encounter and began to believe that something was truly happening there. 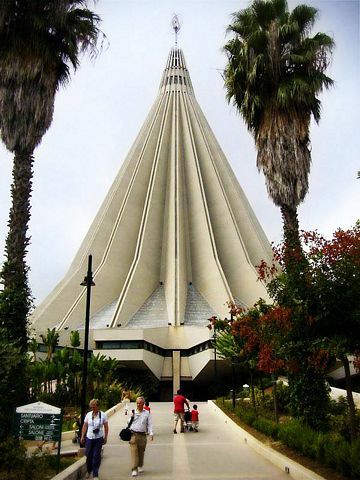 People began to go to the mountain and visit the spot of the alleged apparitions, some 2,600 feet above sea level. First, a child saw Mary; then an avowed heretic witnessed her also. Others affirmed that they saw Our Blessed Virgin bearing her dead Son in her arms. 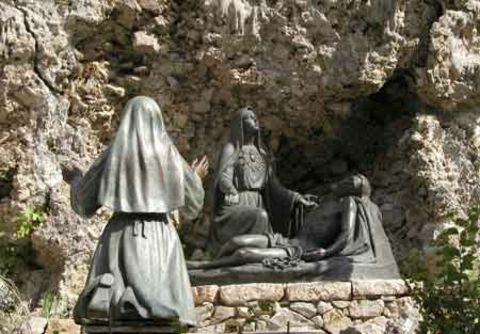 Statues mark the site of the apparitions in 1884 near Castelpetroso. Pilgrimages began, and within a few days, some four thousand persons visited the spot – which was double the number of those living there. Soon, this place which had been generally unknown, suddenly became the center of attraction to countless crowds from the neighboring countryside. Of those who went, some testified that they saw the Blessed Virgin as Our Lady of Carmel, Our Lady of Grace, and also Our Lady of the Most Holy Rosary. 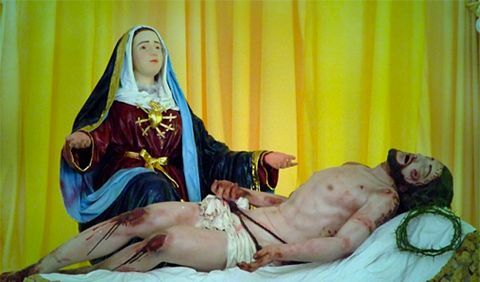 But most of the time, she appeared as Our Lady of Sorrows. She was usually alone but was also accompanied at times by St. Michael, St. Anthony, or St. Sebastian. 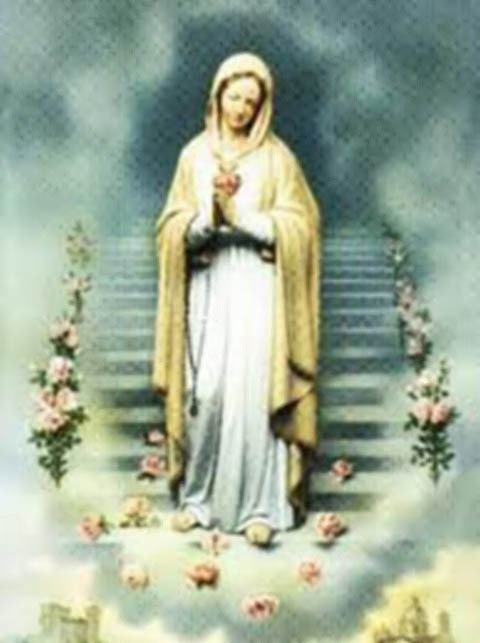 Among those who testified to these apparitions was a well-known disbeliever, who received the grace of seeing Our Lady four times in half an hour. 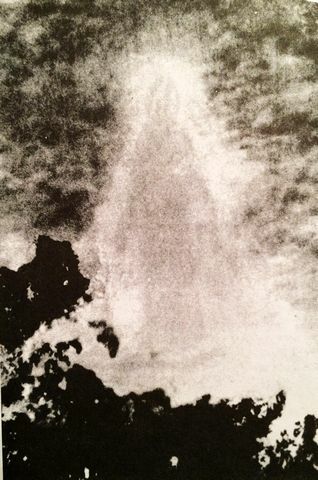 The apparitions were accompanied by another phenomenon; in May of 1888 the body of water at the foot of the mountain began bestowing miracles. Soon, believers from other countries came in masses to behold and experience the extraordinary events and the fountain of miracles. Angelo Verna, a six-year old mute boy, was given a drink of this water by his father and was completely healed by receiving the gift of speech. The priest in the diocese treated the whole affair as delusional and preached against it. 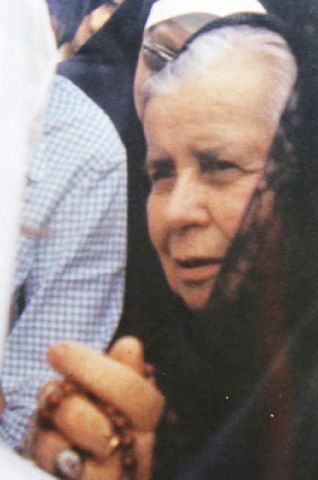 A second priest, Don Luigi Ferrara, was also a disbeliever – until he saw her, too! News of the occurrences reached Msr. Francesco Macarone-Palmieri, Bishop of the diocese of Bojano. 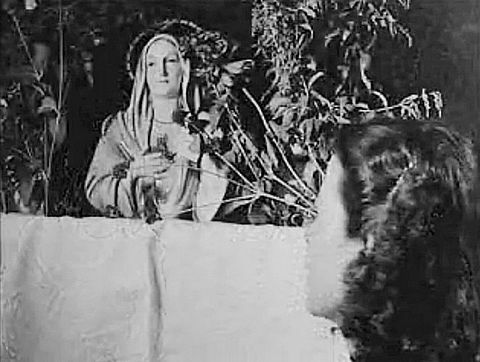 While in Rome on business, he updated Pope Leo XIII on the events near Castelpetroso, adding that he should have liked the apparitions to have been confirmed by “some clear sign.” The Pope replied by asking the Bishop if he did not think the apparitions in themselves were signs. Pope Leo XIII asked the bishop to return to the site of the apparitions and make a further investigation. Replica of what witnesses observed in the cave rocks. 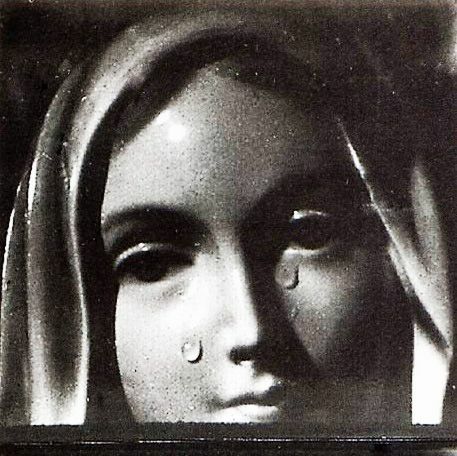 “The Blessed Virgin appeared daily more frequently as the Mother of Sorrows, and, at other times, as Our Lady of Mount Carmel or the Queen of the Holy Rosary. A number of persons affirmed that they saw apparitions of St. Michael, St. Anthony, St. Joseph, St. Sebastian, together with the Blessed Virgin, and also the Holy Face of Jesus surrounded by angels. As the event became more widely known and acquired a high degree of credibility, I deemed it expedient to have an account reduced to writing and certified to by the depositions, under oath, of those who had been eye-witnesses of the prodigy. The preparation of this report occupied several months. 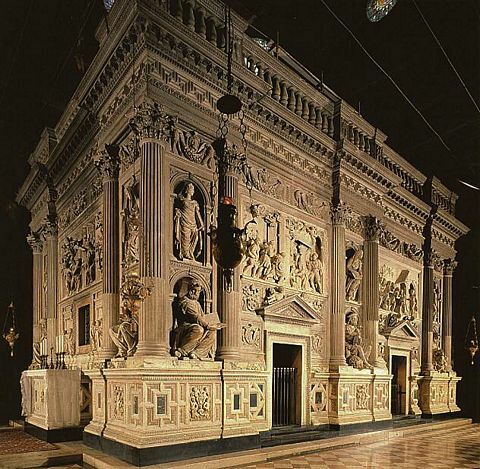 When it was completed, I took it in person to Rome to submit it to the Sovereign Pontiff that the Holy See might pronounce authoritatively and definitely in the matter. In November of 1888, Count Charles Aquaderni, director of the magazine, Servo di Maria, went to the blessed rocks with his son, Augusto, who was sick with a serious bone tuberculosis. Miraculously, the boy was healed at the site! On December 18, 1889, Father Joseph Lais, a physicist, medical doctor, and sub-director of the Vatican Observatory, examined everything and was convinced that no optical illusion could be responsible for what people had been seeing. 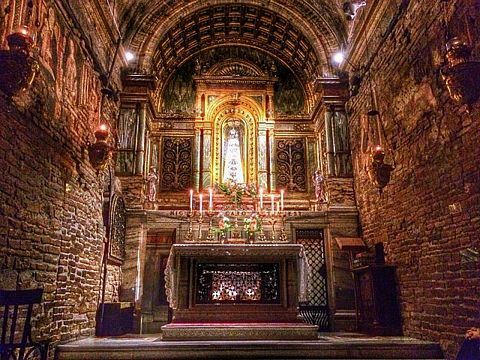 Castelpetroso cathedral today in Italy. 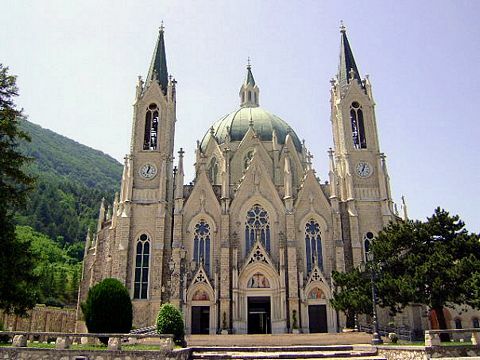 The Bishop of Bojano formed a committee in 1889 to begin collecting funds for a church to be built on the site of the apparitions. Pope Leo XIII blessed their work, imparting the Apostolic Blessing to the members of the committee and to all those who contributed to the fund. The cornerstone for a beautiful Gothic church was laid in May of 1890 in front of 30,000 faithful. The layout symbolizes a heart with seven chapels at its center representing the seven sorrows of Mary, the seven swords piercing her heart. 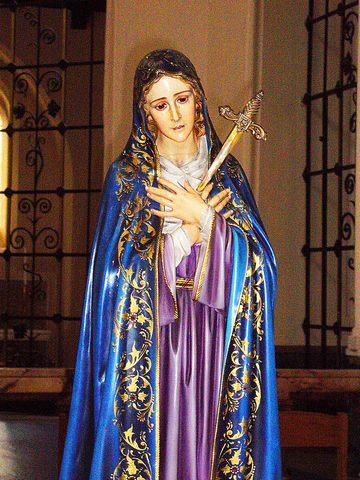 On December 6, 1973, Pope Paul VI proclaimed the Blessed and Sorrowful Virgin Mary as Patroness of the region – upon a request by the Bishop of Molise. 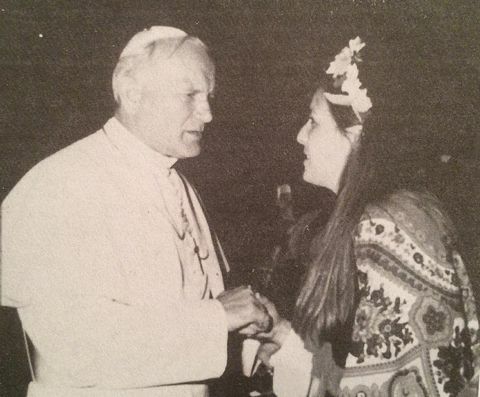 Pope John Paul II visited the sanctuary as a pilgrim on March 19, 1995. A community of friars and sisters has been established since 1993 — called the Franciscans of the Immaculate. On August 2, a bright summer morning, four shepherdesses push their herd of cows at daybreak out onto the road that climbs the mountain. Maria Pittavino (12), Margherita Pittavino (12), Maria Chiotti (12), and Maria Boschero (10) were out of breath when they came to a beautiful basin at an altitude of 1,378 meters. Some testify that Margherita’s younger brother Chiaffredo (8) may have been with them that day, also. In the middle of the green valley of Chiotti, there is a large rough stone where they like to stop and rest. Suddenly, they were astonished to see before them, standing on the stone slab, a beautiful lady of majestic appearance. She was a young woman of ordinary stature about twenty years old. She wore a long dress with a reddish belt tied to the sides. From the head draped a long, celestial blue veil, held to her neck with a bright yellow button. It covered her head, hair, forehead, and sides of her head, only leaving her face and neck uncovered. Under the mantle is a dark red color all over with a beautiful yellow belt encircling her hips. Her feet fit into simple sandals. On her head is a crown of beautiful high-gloss gems adorned in dazzling beauty. She does not speak, but her eyes are rich with expression, shedding tears that flow down her cheeks and fall to the ground. She alternates her tearful gaze from one shepherdess to the next. 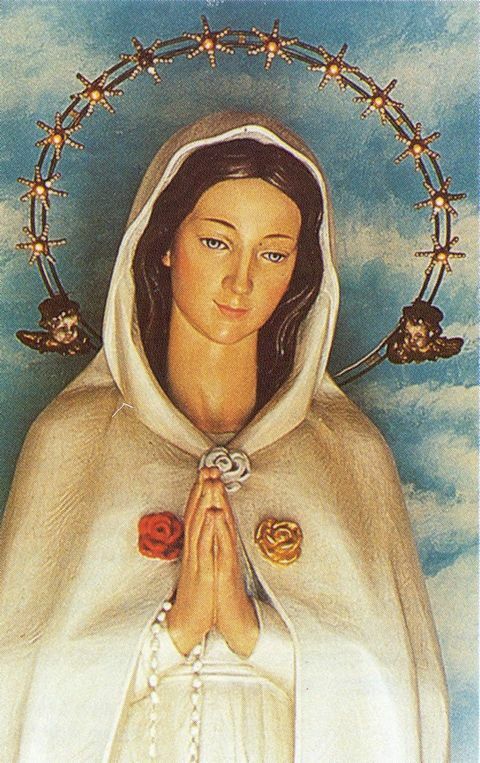 Her arms were outstretched with open hands, a traditional pose of the Virgin Mary. But they were not sure who she was – maybe Saint Anna, perhaps the Madonna. The only words they recall hearing were a request for a chapel to be built on this site. The four young girls fell into an ecstasy, partly from fear, and remained silent. The Lady disappeared as quickly as she had appeared. The girls returned home – too upset to talk about what they had seen. Despite their reluctance to return to that area, their parents urged them to fulfill their duties with the herd. 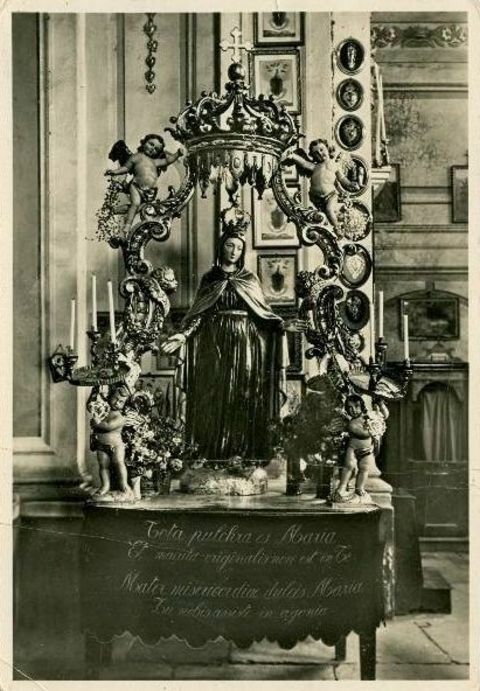 Our Lady of Mercy statue in Valmala, Italy in 1834. The girls admitted that they too fearful to return to that area “because every now and then the same great Lady – who always cries – appears before the four of us.” Mary Pittavino’s father, Joseph, knowing the innocence and honesty of his daughter, decided to accompany the girls to see about this matter, personally. But the people all around them see nothing. One of the girls approaches the boulder, takes one hand and raises the hem of the coat of Blessed Mary. The spectators see the girl’s hand with fingers closed as if she is grasping something – but see nothing else. Joseph Pittavino invites all to kneel and pray. 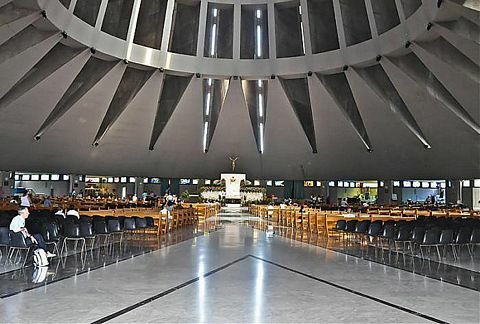 He vows that if he could learn the apparition’s identity, he would build a chapel in that place. Although still invisible to the others, they are more certain from the girls’ description that this is most likely the Blessed Virgin Mary. Without speaking, they all kneel. Joseph lights a blessed candle, makes the sign of the Holy Cross, and prays the Holy Rosary. During the fervent recitation of the Rosary, the four shepherdesses are enraptured in ecstasy, holding their gaze upon the boulder and just above it (where she stands). Bystanders witness the illuminating joy and happiness upon their faces, transfigured by their heavenly experience. They describe seeing “people moving in the blue sky, passing across the sun” which casts such large shadows that the whole cowherd is in darkness. Then they state that the “beautiful Lady” has gone from the rock. Joseph Pittavino began construction at once – but he still wants to be certain to whom he is dedicating this structure. 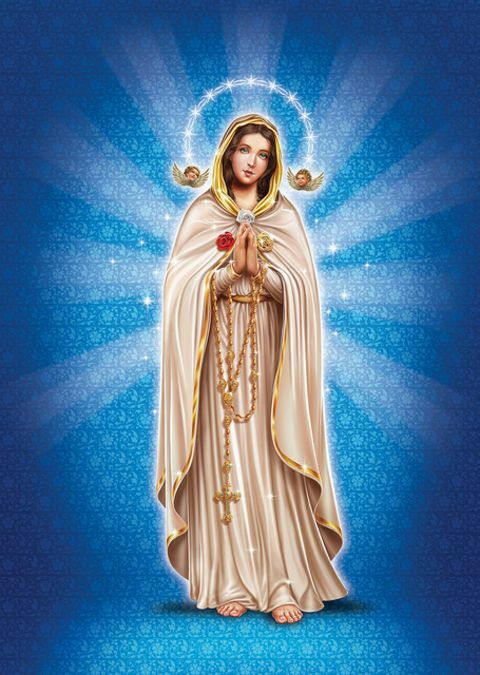 The girls reply that the Lady is “just an extraordinary beauty” who becomes more beautiful with each appearance and each recitation of the Rosary. Others still argue that this is St. Anna. However, the most common opinion is that this is really the Blessed Virgin. 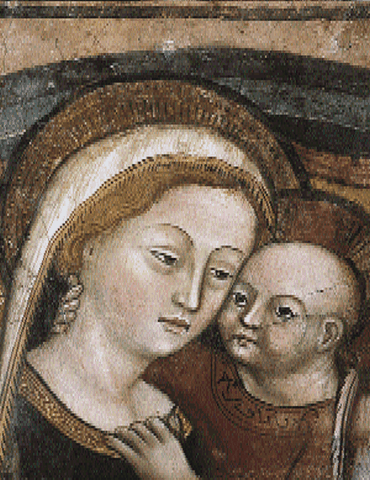 It is the Madonna as she appeared to Anthony Botta on March 18, 1536. 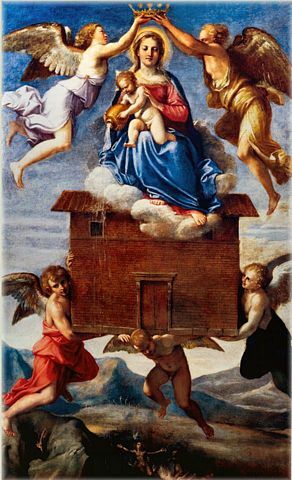 This image hangs in the great shrine of Savona with the title, “Blessed Virgin Mary, Mother of Mercy.” Joseph Pittavino immediately buys that image so that the painter Giuseppe Gauteri of Saluzzo can add it to the constructed pylon or mast. From that day, the apparitions ceased entirely – as if to signify that Mary wanted to make sure that the right image and title, “Mother of Mercy” would be assigned before she departed. Buildings were added around the pylon “marker” – with a Sanctuary eventually added. 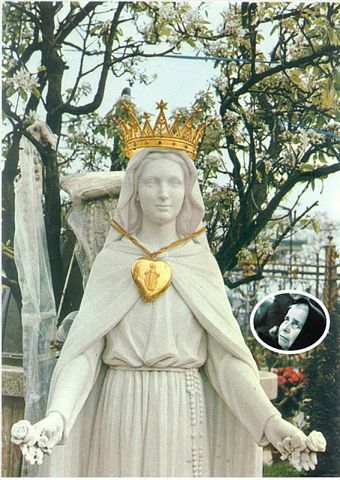 On the first Sunday of August in 1946, Our Lady Queen of Valmala was solemnly crowned by Archbishop Luigi Lanzo Gile, Bishop of Saluzzo in the Diocese. 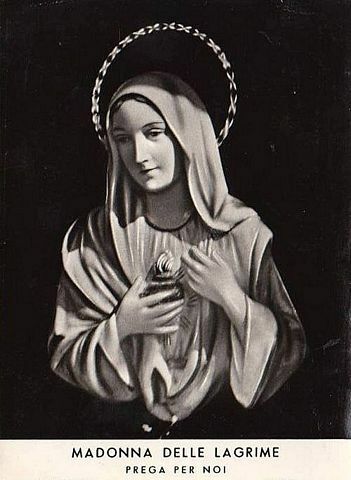 From March 19 to July 30, 1949, the statue of the Mother of Mercy, worshipped at the shrine, was chosen for the Pilgrimage of Mary, and brought into all the parishes of the diocese. 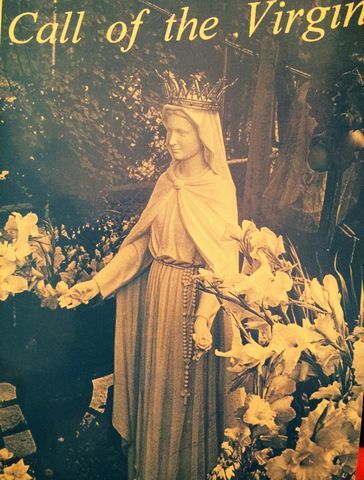 In August of 1949, in memory of Pilgrimage, and artistic marble statue of the Heavenly Queen was placed in the forecourt of the Shrine. 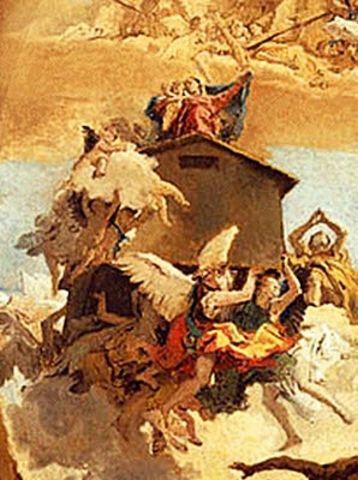 An elderly farmer named Antonio Botta was surprised to receive a visit from the Queen of Heaven on March 18, 1536. The farmer described the Virgin Mary as being dressed in white and surrounded by a dazzling light. 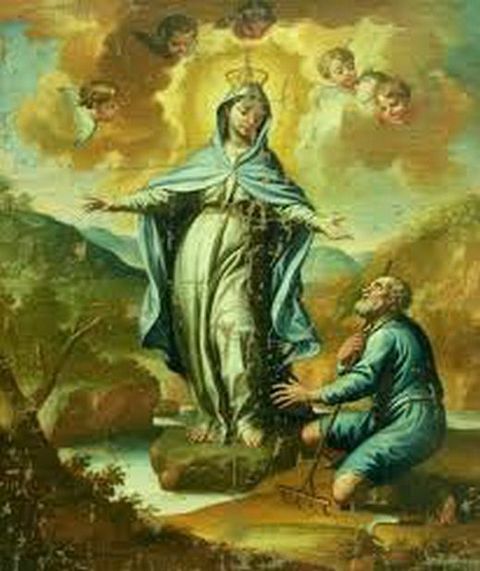 The Blessed Virgin stood on a large rock overlooking a stream near the river Letimbro. As he knelt reverently before Our Lady, Blessed Mary directed Antonio to go to his priest with the request that three Saturdays of fasting be observed, and that three processions be organized in honor of God and the Mother of Jesus. 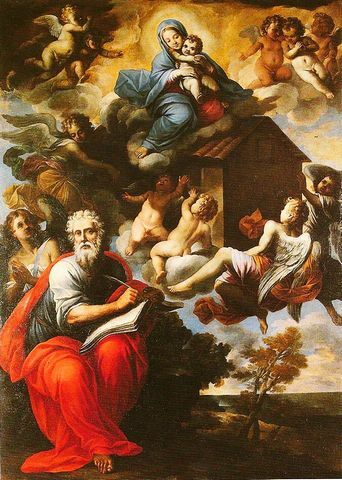 Then Mary asked the farmer to return to this same place on the fourth Saturday to receive another message meant for the Curia and the people of Savona. When she vanished from his sight, a sweet fragrance of flowers lingered for some time. Obeying the words of the Virgin Mary, Antonio went immediately to inform his local priest, Monsignor Bartholomew Zabreri, who then shared the message with the bishop of the diocese. 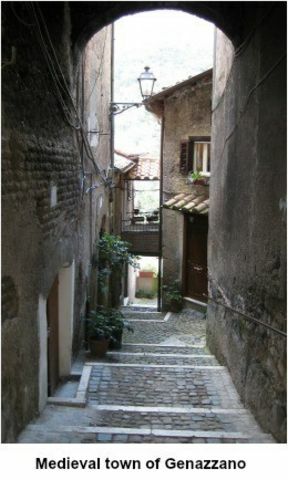 Although they were receptive to the requests of the Blessed Virgin based on the sincerity and humility of the elderly farmer, the mayor of the area, Genoese Doria, was not convinced. He promptly summoned the farmer to the castle for questioning about the circumstances of Mary’s visit. 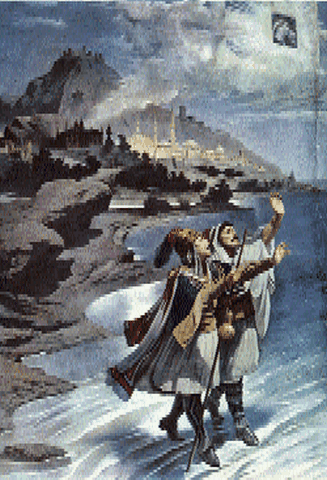 Legend states that during the interrogation of Antonio, some fishermen just off the coast of Savona saw three flames that rose high into the sky above the cathedral and the castle. 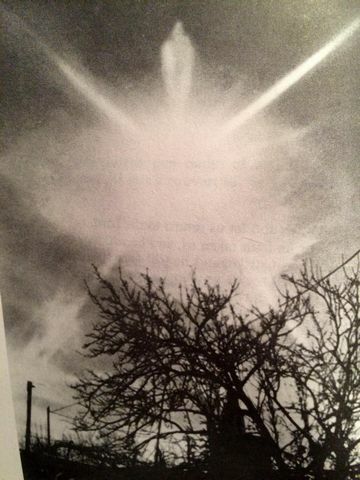 News of this apparition spread quickly. There was such an influx of pilgrims that a committee was formed to handle the increase in numbers. Large sums of money donated by pilgrims resulted in plans being developed for the building of a place of worship. Soon, a chapel at the site of the apparitions was authorized by Bishop Bartholomew Chiabrers on April 21, 1536. 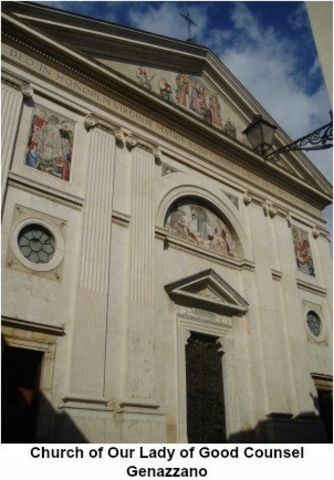 Plans for the new church were also approved by the city council of Savona and Cardinal Spinola Horace on July 24 of that same year. 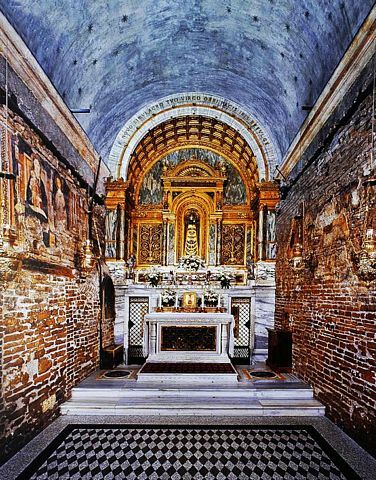 By August 11, 1536, the construction of the church was begun. Four years later in 1540, Savona decreed that March 18 would be observed as an annual festival with a candle votive procession to the shrine. Pope Pius VII was exiled to Savona by Napoleon from 1809-1812. 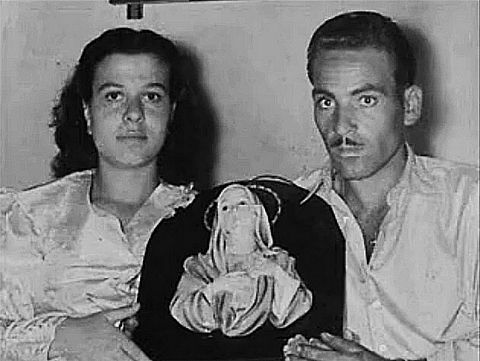 During those years he vowed that if he were released, he would crown the statue of Our Lady of Mercy. The pope kept his promise, placing a royal diadem on the statue on May 10, 1815. Pope Benedict XVI honored Savona and the church with a papal visit on May 17, 2008. There was so much pestilence and sickness between 1404 and 1428 in the region of Vicenza, Italy, that the population declined drastically from death or fleeing the area. 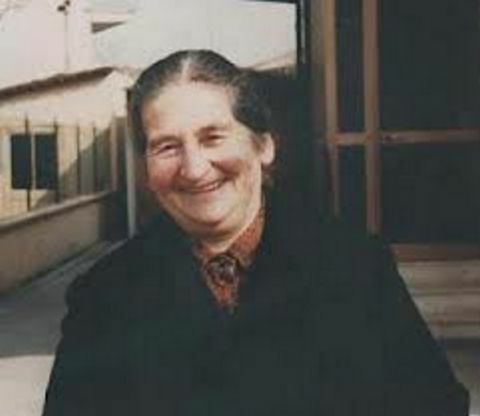 In those difficult years, Vincenza Passini (age 70) went up the hill each morning to bring food to her husband who worked in his small vineyard. She led a simple, honest life with a heartfelt devotion to Blessed Mary. She attended church regularly and was mindful of the poor. After saying this, Blessed Mary took a twig, and with a graceful movement, traced the Sign of the Cross on the ground. Then she also drew the shape of the church to be built. Finally, she planted the twig in the ground where the high altar of the shrine stands today. Vincenza immediately obeyed the beautiful woman and began telling everyone that she met. But, she soon realized that nobody believed her! The plague was foremost on everybody’s minds. Even Bishop Pietro Emiliani gave little credence to her story. So, as Mary predicted, the plague raged on. Vincenza resumed her work, performed deeds of charity, and climbed the hill on feast days to pray on the spot where Madonna had appeared. 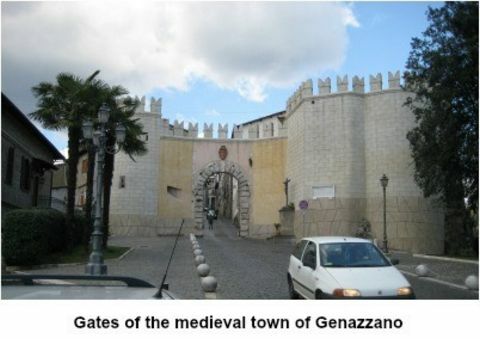 On August 1, 1428, the Virgin Mary appeared again to Vincenza. She repeated her previous warning and recommendation for the health of the people. Because of the horrific conditions of the ongoing plague, the people chose to believe her this time. 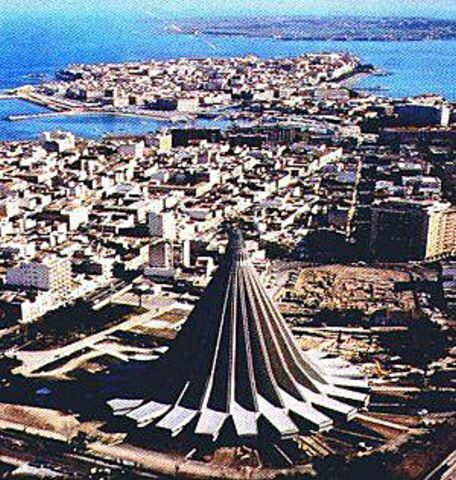 The Hall of Government decided to build a church on Mount Berico, beginning construction just 24 hours after this last apparition! 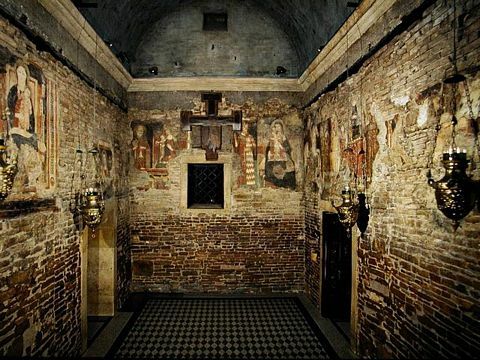 As soon as the church was completed, the plague disappeared, and the region no longer suffered from it. 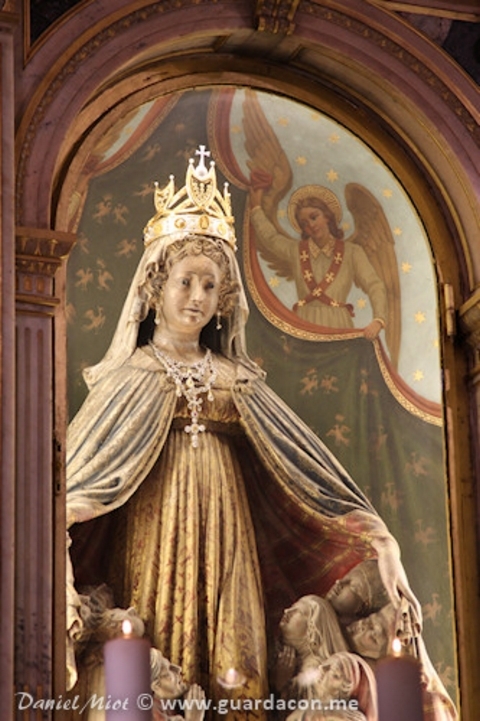 A beautiful statue of the Madonna of Mount Berico is enthroned in the shrine. It is “an imperious image in marble, painted with skill in various and precious colors.” It depicts the Madonna with an open smile. Her head is framed by curls, and she wears a gold-decorated veil, a gold-colored dress with a greenish, gold-edged mantle. Figures of children, women, and men are huddled beneath the mantle that drapes over the Virgin’s extended arms. 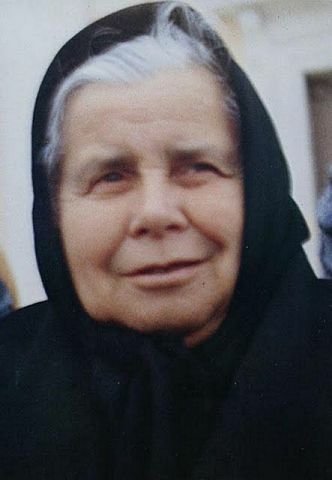 She also wears necklaces and a golden crown that was placed there by Cardinal Giuseppe Sarto, the Patriarch of Venice – who later became Pope Pius X. During the First World War, the city of Vicenza was behind enemy lines. 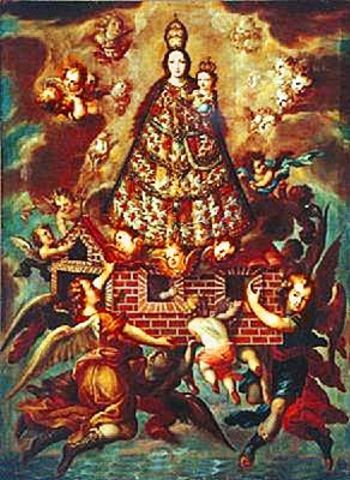 Thoroughly frightened, the people made a solemn vow to the Madonna of Mount Berico, promising that if they and their lands remained safe, they would observe the birthday of the Madonna every year in a special way. She granted their prayers, so every year on September 8, great crowds visit the sanctuary to offer their gratitude. 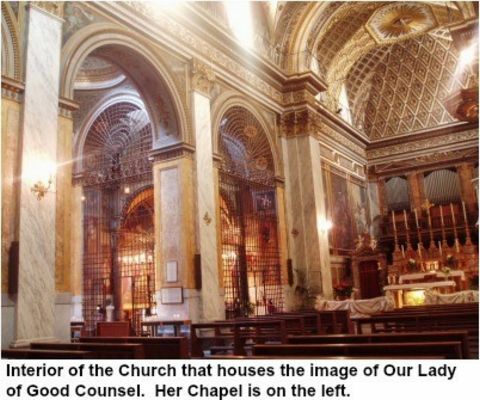 People also honored her wish for devotion on First Sundays of every month, so two large chapels were added to this grand basilica in 1972 along with thirty additional confessionals. The Servants of Mary took possession of the shrine in 1435 and are still ministering to pilgrims today, almost 600 years later.